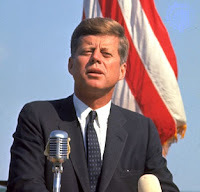 In running with the theme of Inaugural week, I think some quotes from past presidents are in order. I have always loved quotations from various people. I even like to read quotations from celebrities because it shows that most of them are complete idiots. I'm looking forward to posting some quotes from President Obama in the future. I have a feeling he is going to give us a few to dwell upon in the years to come. 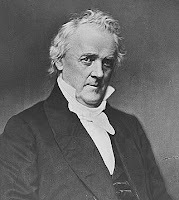 “I have no regret for any public act of my life, and history will vindicate my memory.”--President James Buchanan [President Buchanan had the unfortunate task of directly preceding President Lincoln. He left a mess for him as “W” left for the Anointed One. I think I have to disagree with President Buchanan in that history would vindicate his memory. He is largely a footnote insofar as U.S. Presidents go.